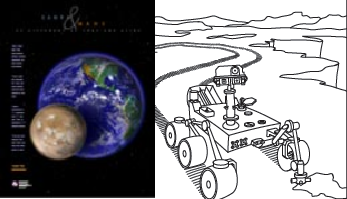 View the full list of Mars resources and activities designed to help bring the topic of Mars into your 4th through 12th grade classrooms. -- with classroom activities on the reverse. Click to print front and back in PDF format. Download the activity summaries or the full activity set in PDF format.